This book presents three of the works of Abduʾl-Bahā, son of the founder of the Bahāʾi Faith, which deal with social and political issues. In The Secret of Divine Civilization (1875) Abduʾl-Bahā supports the administrative and broader social reforms of Mirzā Hosayn Khān, but looks mainly for organic reform through the efforts of Iranian intellectuals to awaken and educate the masses. In this work, Abduʾl-Bahā gives virtuous and progressive Islamic clerics a leading role among these intellectuals—indeed most of his appeals are directed specifically to them. A Traveller’s Narrative (1889/90) is an authoritative statement of the overarching concepts of Bahā’i social and political thinking. The Art of Governance (1892/93) was written as Iran entered a prerevolutionary phase, and ideas that we recognize today as the precursors of political Islam were spreading. It sets out the principles underlying the ideal relationship between religion and politics and between the government and the people. In addition to presenting the first parallel text translations of these works, the Persian texts incorporate notes on variants in the early published sources. 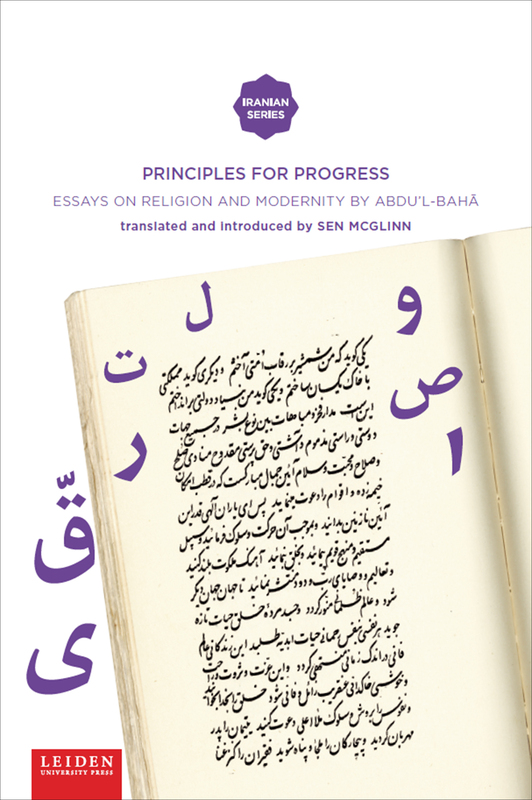 An introduction outlines the intellectual and political landscape from which Abduʾl-Bahā wrote, and in which his readers lived.